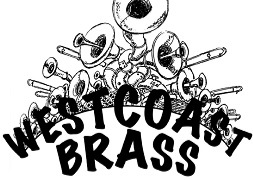 This brass quintet performs music of many styles from the 15th to the 20th century. Organizer and Gabriola Bass Trombonist, John Capon has always had a love of brass music and is thrilled that he and long-time friend, Saltspring Trumpet player, Derrick Milton have finally been able to organize a group of brass musicians capable of mastering the popular and challenging brass quintet repertoire. The quintet’s other musicians include Saltspring trumpeter Jim Stubbs, Vancouver/Gabriola French Hornist Janet Summers and Trombonist Larry Heidel from Whidbey Island.